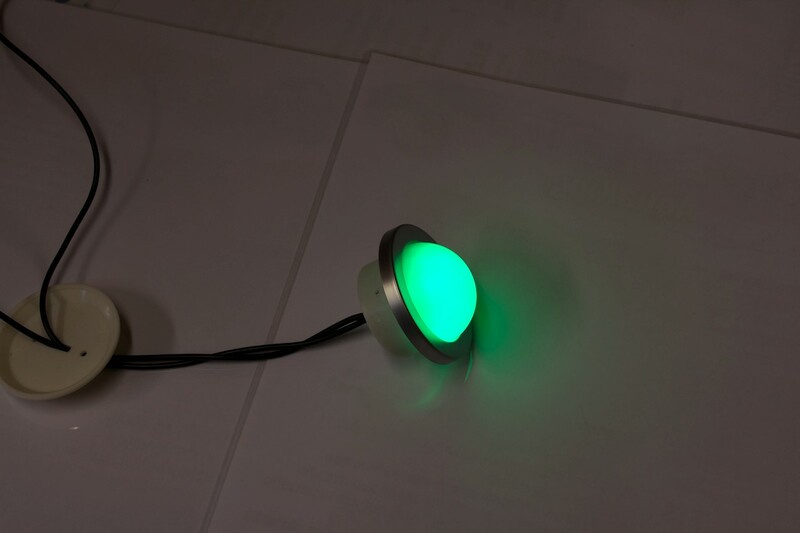 Dome shaped Led lighting that changes color in different shades of red, green and blue (RGB). Also white. Suitable for lighting in wet environments. Maximum operating temperature is 100°C. 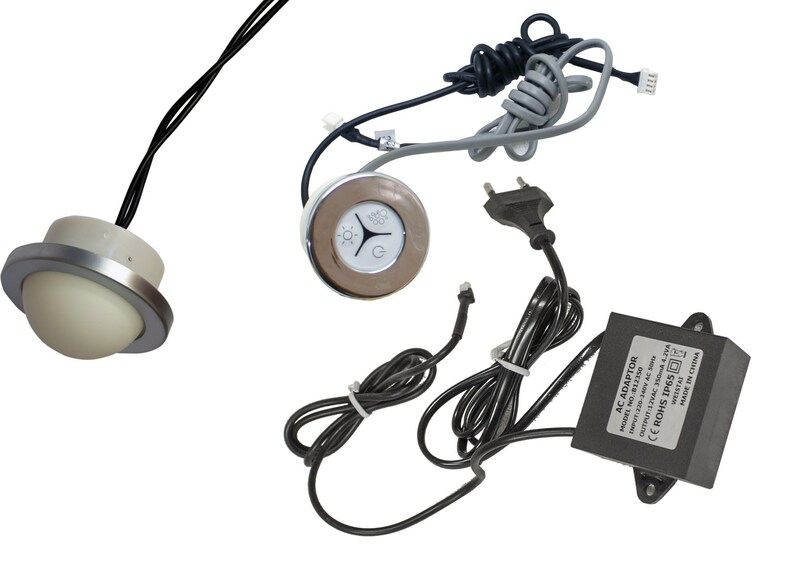 Transformer 230/12 V and control button are included. A total of 10 bulbs can be serially connected to the same control panel. Such as our model 19713231799. 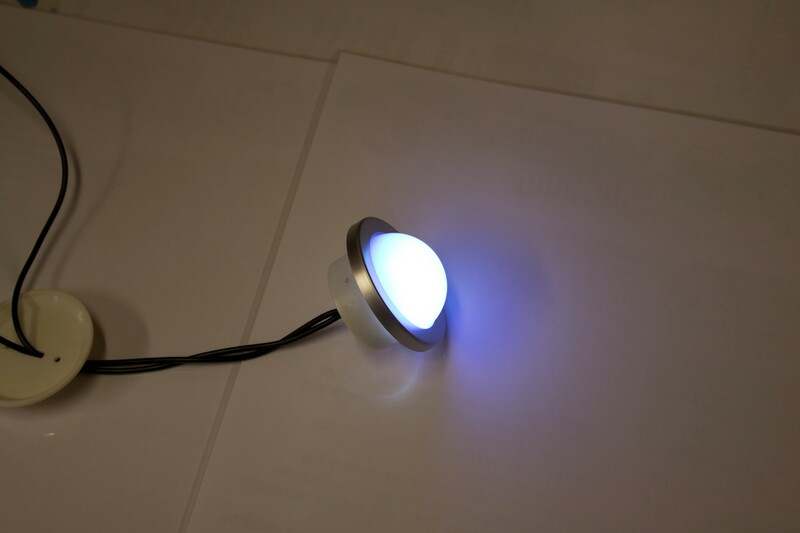 The lamp has input and output cords 40 cm each.